Share this with everyone! There’s a good reason (with the exception of the Obama years) the United States of America has remained a world economic leader for most of its existence. Hint for Bernie Sanders loyalists: It has nothing to do with Socialism. 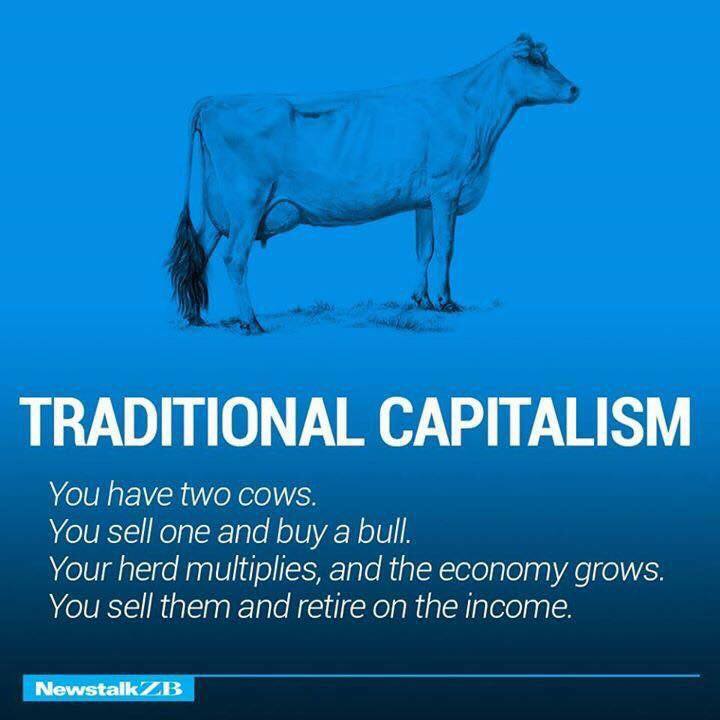 If this easy to understand illustration explaining various economic systems was part of every student’s education in America, we wouldn’t be watching auditoriums packed with young Bernie-bots who naively believe Socialism is the answer.